Telaria, the video advertising platform for publishers, took a big stock market hit on Thursday after announcing that third-quarter and full-year revenues will be lower. 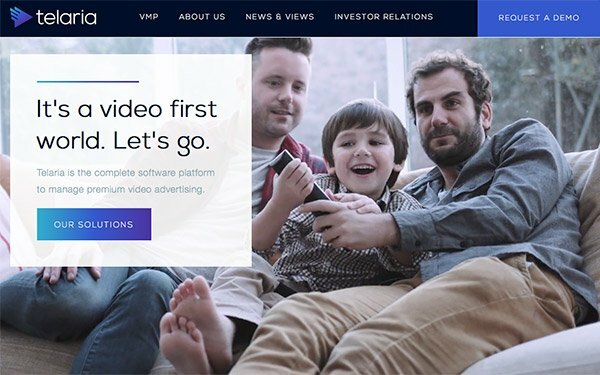 Now, the supply-side video ad platform expects revenue to be between $13 million and $13.5 million for the third quarter, with full-year results now between $50 million and $52 million. In August, during its second-quarter earnings announcement, the company offered up guidance of $15 million to $17 million in revenue for the third quarter and $58 million to $62 million for the full year. Telaria stock sank a big 36% at the Thursday close to $2.40. The company explains the under-performance in revenue is attributable to a decision to remove certain desktop video publishers from the Telaria platform to focus on premium content. For the year, it now expects a negative cash flow -- an adjusted EBITDA loss (earnings before interest, taxes, depreciation and amortization -- to be between $3 million and $5 million. Third-quarter EBITDA results are now projected to be between break-even and a loss of $500,000. In a release, Telaria noted that connected TV business will continued to drive revenue and eCPM (effective cost per thousand ad impressions) growth. Results will show connected TV business contributing about 26% of third-quarter revenue, up from 6% a year ago. It says eCPMs are now more than $12.30, compared to $11.40 in the prior-year period. In August, Telaria posted second-quarter revenue of $12.4 million -- up 25% over the year before -- with a loss from continuing operations, net of income taxes, at $3 million.